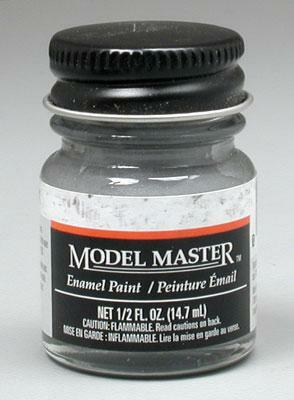 "Model Master is always good stuff"
One 1/2 oz (14.7mL) jar of Enamel Aluminum Paint. This is very accurate to a sheet of aluminum. I use this more than any other silver type color i have. Once you use it, you will need to get more. Duller than chrome silver, this aluminum paint does a good job at reproducing the subtle hue of the metal without being too bright. "Almost exactly the same color as real aluminum"
This paint is really nice, because it produces a very realistic finish. It really looks like aluminum, because it&apos;s not as bright and shiny as chrome, and at the same time it&apos;s not completely flat. It&apos;s real aluminum. I love this paint.